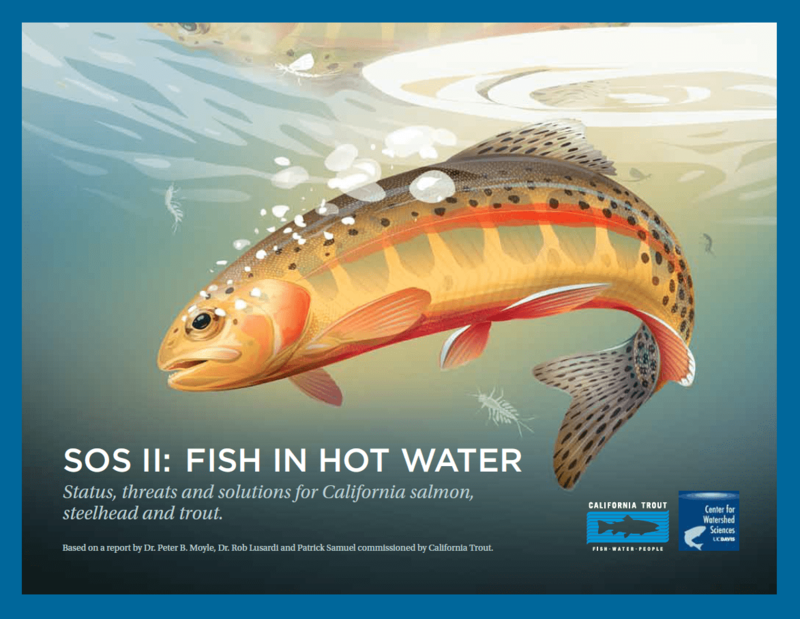 job Archives | California Trout, Inc.
California Trout (‘CalTrout’) is a non-profit conservation organization based in San Francisco with seven regional offices state-wide that is dedicated to solving the state’s complex water resource issues while balancing the needs of fish and people. 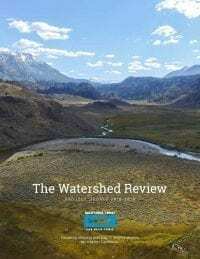 The goal of CalTrout’s Sierra Headwaters Regional Program, based in Bishop, is to restore and ensure the health and vitality of Sierra Nevada headwaters and their aquatic ecosystems and downstream communities through progressive research, policy and restoration actions. CalTrout is currently recruiting for a dedicated and motivated individual that will serve as the Sierra Headwaters Project Manager. The full-time position offers an exciting opportunity to learn and contribute to advancing ecosystem and fisheries restoration and management. 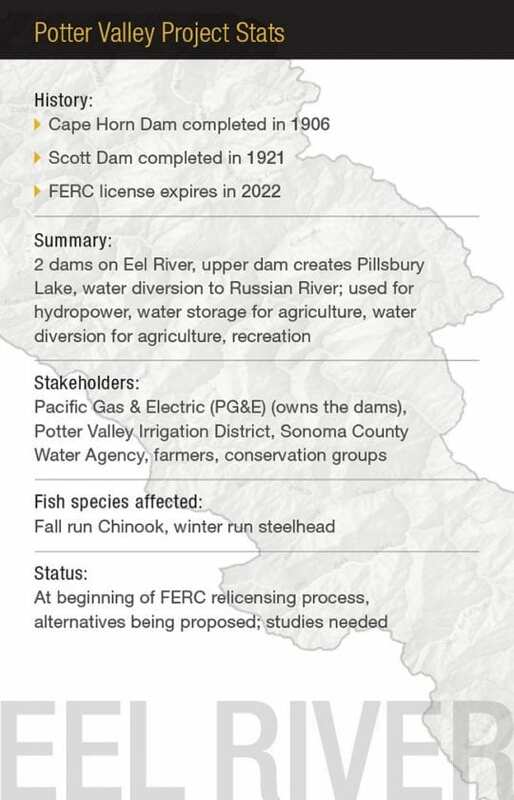 A major focus for the position will be to manage forest, meadow, and stream restoration projects on federal, state, and private lands throughout the region. Specific activities include: partnership coordination; developing, finalizing, and executing subcontracts; subcontractor supervision; setting up and maintaining financial accounts; reviewing and approving subcontractor invoices; processing payments; preparation of quarterly and annual technical reports; and planning, attending, and/or conducting meetings. The project manager should also contribute to the success of CalTrout’s conservation staff, through expanding our capacity in innovative conservation efforts and initiatives, such as helping to establish payment-for-ecosystem markets, identifying funding opportunities, and building conservation partnerships. Applications should be received by 5:00 p.m. PDT on Friday April 26, 2019. A competitive salary is offered for this position. California Trout is a highly recognized, effective and financially strong conservation-based non-profit headquartered in San Francisco. For over 40 years, CalTrout has championed a remarkable number of initiatives focused on ensuring resilient wild fish in healthy waters for a better California. CalTrout has six conservation offices around the state and works closely with a number of universities to apply “the best of science” to direct conservation projects and influence statewide policy. Our regionally-based offices partner with local communities to form strong collaborative partnerships. Our work ensures a viable and healthy future for wild fish, and people, given the looming threats of global warming, population growth, and increasing development. CalTrout is backed by a passionate Board along with highly committed donors and a strong membership base. 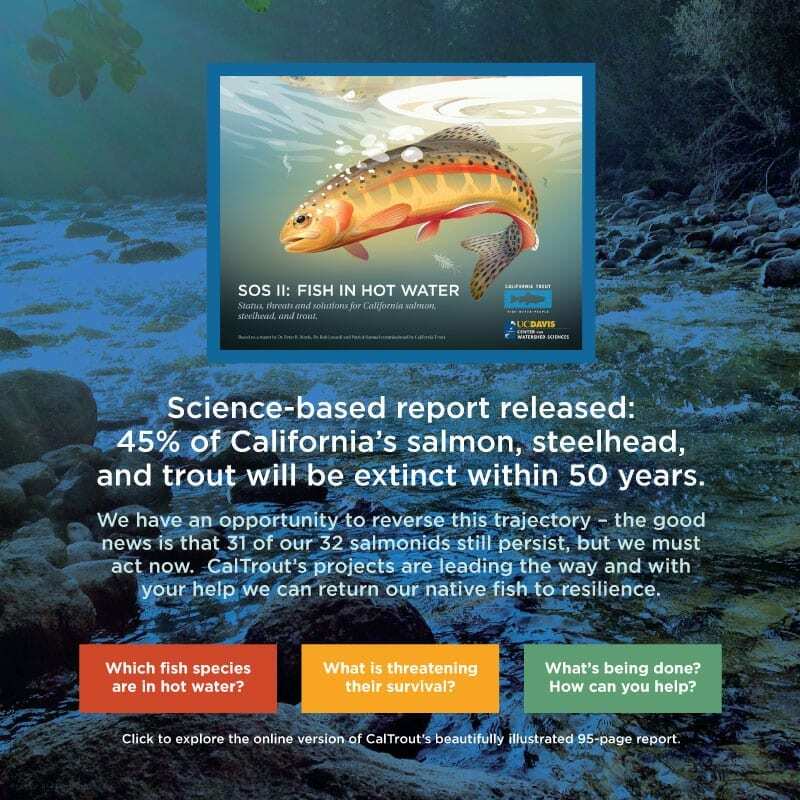 As it approaches its 50th anniversary in 2021, CalTrout has completed a three-year strategic plan and is laying the groundwork for a large-scale comprehensive fundraising campaign. CalTrout is making a significant investment in growing its fundraising team. This expansion offers a distinct opportunity to join a powerful team of dedicated conservationists and to play a meaningful role making California a better place for future generations. The Donor Relations Manager will report directly to the Development and Communications Director and work closely with the Executive Director to define the strategies and tactics to fund the organization’s short and long-term conservation programs. This individual is expected to be able to clearly articulate CalTrout’s vision and proposition and summarize our conservation efforts at the appropriate level of detail with donors and prospects. He/she will manage annual gifts and oversee the annual giving cycle, including the cultivation of new and existing major donors / prospects. Manage a portfolio of 60-100 individuals and family foundations. Set strategies for personal cultivation, solicitation and stewardship of high-level gifts from current major donors and prospects. Grow the prospect pipeline as well as their portfolio with donors capable of making 5-6 figure gifts. Participate in face-to-face meetings and solicitations. Develop major donor strategies and plans, including segmentation, retention and migration tactics, along with Development and Communications Director and Executive Director. Assist with the planned giving campaign development and execution. Work with Director to formulate the annual budget that integrates all elements of the major gifts program and make accurate assumptions about short and long-term income and expenses. Drafts proposals and reports for individuals and foundations. Effectively communicate and partner with CalTrout staff. Keep accurate and timely account of donor stewardship in the donor database. This is an excellent opportunity for a talented individual to contribute, learn and grow as part of a growing CalTrout team. As such, you will be part of a fun, dynamic group working in a fast paced, energized and dynamic atmosphere. 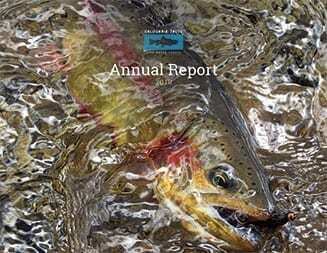 California Trout (www.caltrout.org) is a highly effective 46‐year‐old environmental non‐profit organization based in San Francisco dedicated to ensuring resilient wild fish in healthy waters for a better California. Position Summary: Reporting to the Executive Director, the Sierra Headwaters Director will have overall responsibility for implementation of CalTrout’s 2018-21 Strategic Plan for the Sierra region. 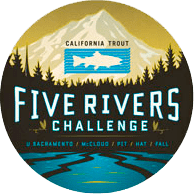 The Director will be responsible for the development, implementation and coordination of California Trout’s Sierra Region and associated annual work plans and budgeting. The Director will supervise Cal Trout’s regional staff to identify and fund conservation priorities, ensure programmatic cohesion, deliver program and project objectives, develop conservation programs and projects, and develop mechanisms to monitor, measure, and adapt these conservation efforts to ensure success. The Director will be responsible for building, advancing and facilitating strategic partnerships and lead policy and advocacy work to advance Cal Trout’s headwaters and meadow initiatives. The Director will work closely with Administrative, Development, Marketing and Conservation staff. This is considered a senior level position that requires independent thinking and initiative while also serving as an essential team player across the organization. Master’s or PhD degree in natural resources management, aquatic ecology, conservation biology, forestry, fisheries ecology, public and environmental policy, environmental law or related field and a minimum of 5 years of related work experience. Demonstrated leadership and supervisory experience, including ability to motivate, lead, set objectives, and manage performance and evaluations. Experience in fund raising and business development including proposal writing, grant research and grant administration. Superior verbal and written communication skills, including the ability to articulate complex conservation issues and California Trout’s mission and goals to a wide range of audiences. Proven ability to identify with, build rapport, and develop constructive and effective working relationships with scientists, government representatives, conservation partners, applied practitioners, community leaders, land owners, elected officials, corporate representatives, donors, CalTrout members and volunteers. Demonstrated ability for strategic analysis/planning and experience designing, implementing and directing multiple complex projects, setting deadlines and ensuring program accountability and legal compliance. 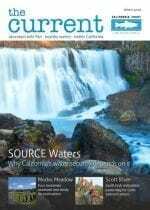 Knowledge of current trends in California water issues, conservation, fisheries, watershed science, payment for ecosystem services, carbon markets and experience in applying this knowledge to on the ground projects and to a legislative agenda. Experience working with state/federal officials and state/federal agencies and knowledge of government workings and of federal and state laws that affect California’s fisheries and watersheds including the Public Trust Doctrine, California Water Act, Endangered Species Act, NEPA, CEQA, and the FERC hydropower relicensing process. Experience developing and successfully administering regional budgets. Ability and willingness to travel frequently and on short notice; and to work on evenings and weekends as needed. Demonstrated experience using MS Office Word, Excel, and PowerPoint required. Experience with Geographic Information Systems (ArcGIS) preferred. Familiarity and understanding of fishing and the California fishing community a plus. Ability to identify, synthesize and integrate scientific research, policy, planning and legislation to advance CalTrout and the Sierra Headwaters Regional Program work. California Trout (www.caltrout.org), a 47-year-old environmental non-profit organization based in San Francisco dedicated to ensuring resilient wild fish in healthy waters for a better California, seeks a motivated and talented Communications Associate to join our team. The Associate will report to the Marketing-Communications (MarCom) Director and will be responsible for the development and implementation of marketing and communication initiatives as well as event outreach. 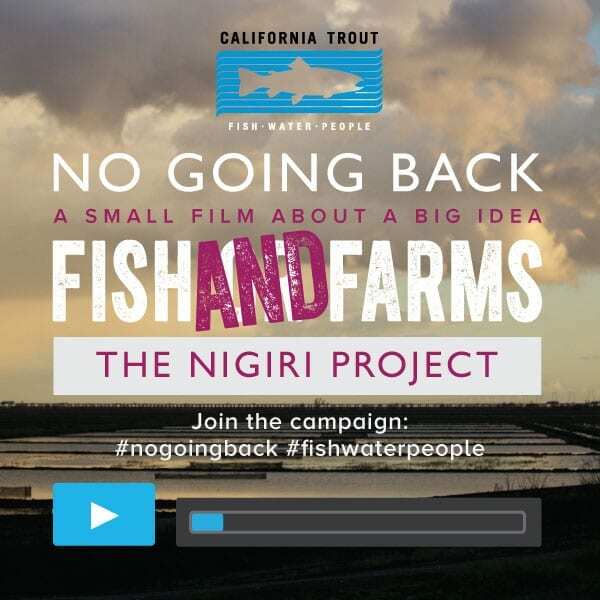 This entails working closely with the director to clearly convey CalTrout’s mission and projects to supporters and leads through print, digital and multi-media content creation. The Associate will work with and manage relationships with designer, web-developer and printer for marketing materials and collateral. The Associate will use the supporter database to analyze audiences and integrate with communication efforts. 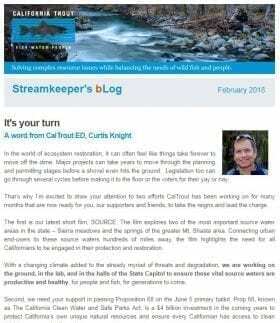 • Coordinate the development, distribution, and promotion of CalTrout marketing materials, including but not limited to quarterly e-magazine (The Current), monthly e-newsletter (Streamkeeper’s bLog), and bi-annual progress report (Watershed Review). • Maintain CalTrout’s website with timely news posts and images, working closely with MarCom Director and collaborating with graphic designer, web developer and staff. • Assist in the development and implementation of a comprehensive social media plan and create appropriate content/contests to grow our social media/online presence. • Coordinate, promote and manage various outreach events including the screening of the International Fly Fishing Film Festival and the Pleasanton Fly Fishing Show. • Source, order and maintain supplies of CalTrout retail items, incentives and branded wear. 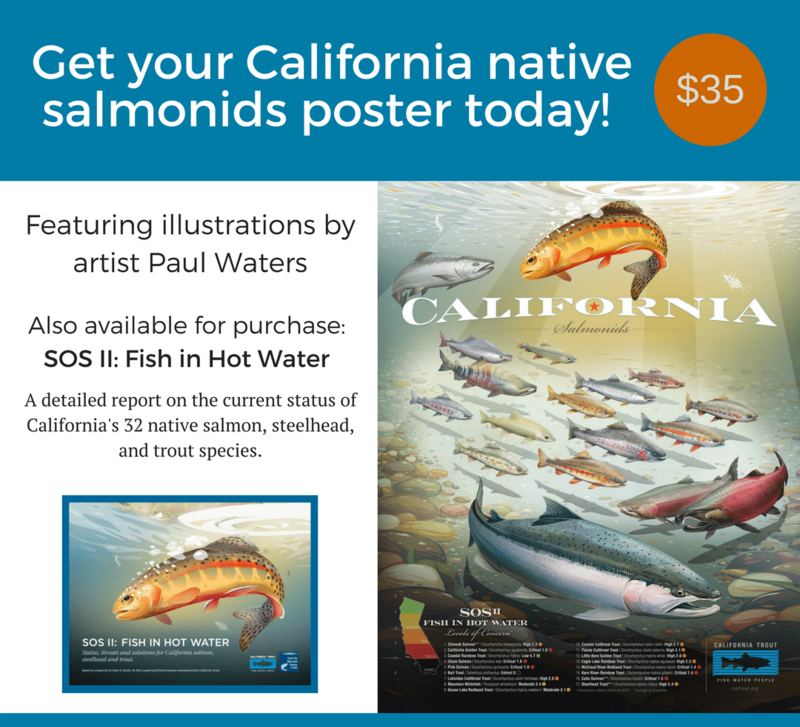 • Coordinate production of CalTrout collateral, including annual calendar, brochures, and marketing pieces. • Track, monitor, and analyze all marketing efforts to determine effectiveness – email effectiveness, google analytics. • Coordinate with Development staff to keep CRM database and email lists updated with communications to/from donors. • Bachelor’s degree and 3-5+ years of related nonprofit and/or marketing/communications experience. • Superior verbal and written communication skills, including the ability to articulate complex conservation issues and California Trout’s mission and goals to a wide range of audiences. • Superior ability to manage multiple projects, meeting timelines and budgets. • Demonstrated experience using MS Office, CRM (Neon a plus), Mailchimp, Adobe Creative Suite a plus. TO APPLY: Please email cover letter and resume, including salary request to jobs@CalTrout.org with subject line: Communications Associate application from <your name>. In your cover letter, please explain how your background and skills will help advance CalTrout’s communications and outreach. We recommend submitting your application soon; we will continue to accept applications until we have enough quality candidates. Ideally, we’d like the Associate to start before the end of May. 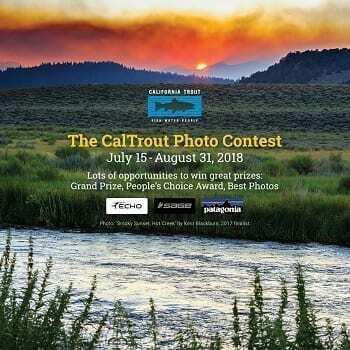 Position Summary: California Trout is a 45-year-old conservation organization with the mission to protect and restore California’s wild trout, steelhead, salmon, and their waters. Since 1971 CalTrout has worked to ensure there will be resilient populations of wild fish thriving in healthy waters for the future well-being of all Californians. We Solve complex resource issues while balancing the needs of wild fish and people. The Central Valley Project Manager will assist the Program Director in managing the daily activities of CalTrout’s Central California conservation initiatives including science programs and specific restoration projects. The project manager will be responsible for a wide range of activities, including grant proposal development and submittal; project administration, budgeting, budget tracking, and timely processing of invoices; overseeing subcontractors, project deliverables, and timelines; and participating in communications among CalTrout’s Regional Managers and Directors. The Project Manager should demonstrate a competence and dedication to CalTrout’s mission, initiatives, and conservation issues. This primarily includes fisheries habitat restoration and conservation. This role requires a high level understanding of water resource management, resource agencies and their mandates, and regulatory compliance for project implementation. Experience with ecosystem markets development would be a major bonus. The Project Manager is expected to work independently, using professional knowledge and judgment in ensuring that duties and responsibilities are carried out in a timely manner. The project manager will contribute to the success of CalTrout’s conservation staff, through expanding our capacity in innovative conservation efforts, such as developing strong partnerships the with farm and water groups to improve the benefit to fish and wildlife from agricultural working landscapes. 5) CalTrout’s advocacy team in Sacramento to help influence legislative and regulatory policy initiatives required for success. 1. Master’s degree in biology, fisheries, ecology, hydrology, environmental science/studies or related field and 5-8 years of related work experience. 4. Strong leadership skills and excellent written and communication skills required. 5. Successful management experience required, including ability to lead, set objectives, and supervise work plans. 6. Proven experience developing, directing, and managing projects, staff and budget. 7. Excellent organizational and time management skills required. 8. Availability to travel, primarily throughout California (valid CA driver’s license and dependable vehicle required). 9. Experience doing field work including biological and ecological assessments (stream and snorkel surveys, habitat/stream monitoring, flow measurements, etc.) preferred. 10. Demonstrated experience in MS Office Word, Excel, and PowerPoint required. Experience with Geographic Information Systems (ArcInfo/ArcView) preferred.